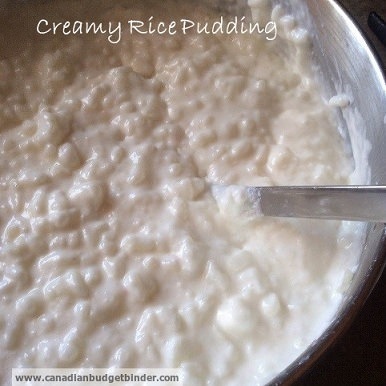 I know many of you have asked for a few of my “What’s for Dinner” recipes from our nightly chit-chat at the Canadian Budget Binder Facebook page so here is the creamy rice pudding recipe that we had the other week. 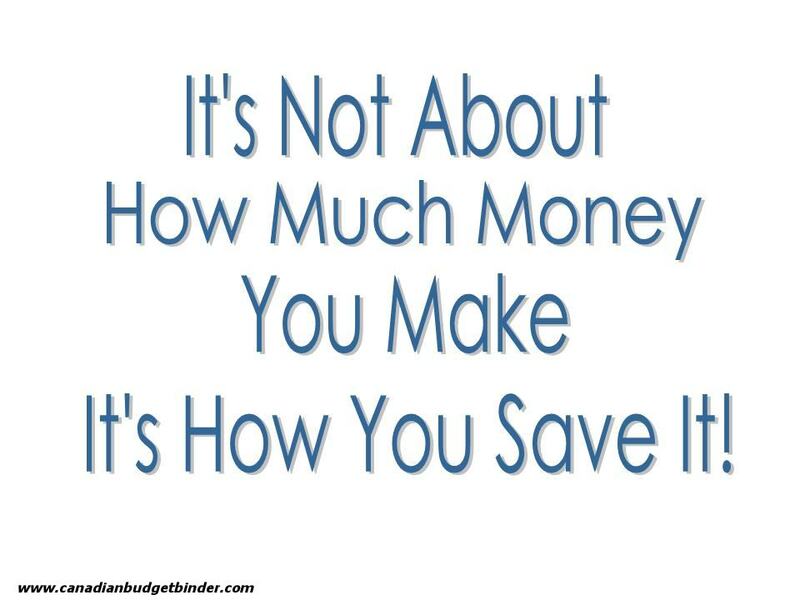 It’s so easy you will wonder why you never tried it sooner. Don’t worry though because we all have to start somewhere when it comes to creating new dishes for our families. Trial and error is always important although getting it right the first time helps. I can easily say I’ve learned from my mistakes over the years but that has made me a better cook for my family. This is an ideal rice pudding that you can make any time of year as this can be eaten hot or cold and perfect to bring to parties, pot-luck or even a family BBQ in the summer. I know I always have my friends asking me for recipes that they can whip up in a flash that are unique so they can bring them to gatherings and rice pudding is a dessert my family loves. One good thing about rice pudding is that it is an inexpensive dessert to make and doesn’t take much effort at all as long as you have all your ingredients in the pantry. If you think rice pudding is boring on its own you can easily jazz it up with a multitude of flavour toppings. My kids enjoy putting a dollop of jam or compote into their rice or even chocolate chips are a hit to add a bit more sweetness to the rice pudding. This rice pudding recipe will fill you up and hit the spot especially if you are craving something creamy with a bit of sweetness, I promise! Not only is this rice pudding easy to make it’s light, fluffy and creamy and even though it’s made with Arborio rice it doesn’t give you that heavy feeling after you eat it like some puddings can. Arborio rice is a short-grain Italian rice which is used in many rice pudding recipes. You can find Arborio rice in just about any grocery store in the international section or Italian section. You can also easily find it at any bulk food store in your area. There are many kinds of rice from Basmati rice, brown rice, black or red rice, white to Arborio rice and sweet jasmine rice. They all make wonderful dishes but the ideal rice for this recipe is arborio rice. It’s mostly used in risotto as it soaks up the liquid that you put into the dish. This is why it’s an ideal candidate for rice pudding and what gives it a really creamy texture. You will definitely be going back for seconds or even thirds of this creamy rice pudding so make sure you make a double batch. If you love rice pudding then you will love this easy, inexpensive rice pudding recipe. Place milk, rice, sugar and butter into the pan and slowly bring it up to a boil. Once boiling turn it right down to low. Stir frequently as to not stick to the bottom of the pan. If you see that the rice has soaked up the milk and the rice is still hard just keep adding a little milk at a time until rice has fully cooked. Once cooked take off heat and cool. Whisk up your egg white until stiff. Do the same with the cream. Now fold in egg white then your cream this must be done whilst the rice is cool. You can now eat it cold or heat it up gently in the pan. You can now eat it cold or heat it up gently in the pan.If you are looking for an easy rice pudding recipe that tastes delicious look no further. Trust me when I say I make it often and that I don’t have leftovers. Mary this is how my grandma made it on the stove and yes we fought over the skin too. I have upped the anti and added my own twist with the cream and egg white as it makes it less stodgy and more fluffy and light to eat at any time of the year! Thank you, Nikki, I often recall my Grannie’s warm rice pudding, soft and sweet, with a lovely brown “skin” on top (which I always begged), Then sprinkled with sugar and cream poured over. I am drooling at the thought. Thanks for the reminder.